It’s the hub of the home, the life of the party, and the room you always start your day in. So, ideally, you’ll want your kitchen to be filled with as much natural light and beautiful sunshine as possible. But what can you do if your kitchen is more of a gloomy cave illuminated by artificial lights? 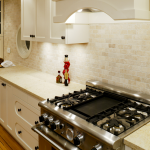 Where do you start if you think your kitchen’s potential for natural light is already maxed out? Whether you are installing a new kitchen or rejigging an old one, think about how the units sit in relation to the windows. By doing this, you can manipulate how light enters and reflects around the room. This is especially true if you have full-length windows or glass doors. 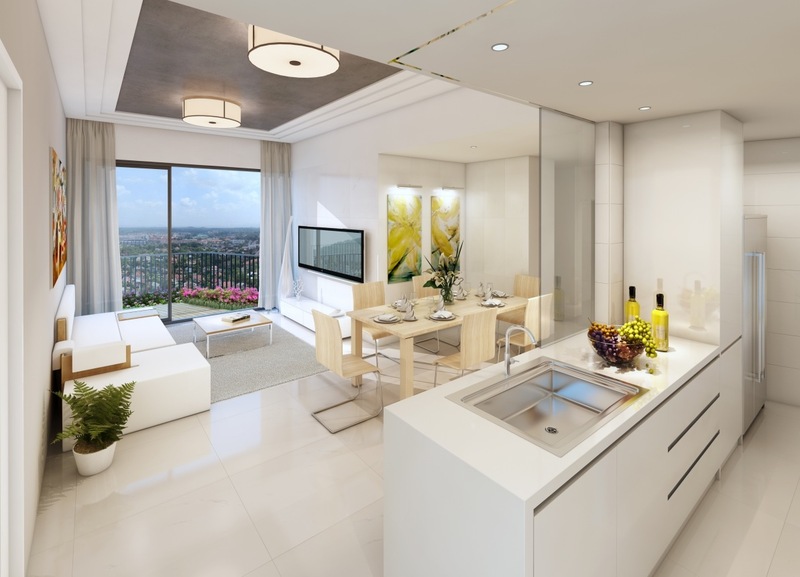 Position your units in a way that makes the most of the windows and enhances the feeling of light and space. Sometimes there just isn’t enough space to have a wall full of glass, but that doesn’t mean you can’t still increase the light by widening your windows. Make the most of the window wall and increase the existing area of glass by either extending them out or adding a smaller window above. This may mean sacrificing overhead units, but for the added sunlight and ventilation, it’s well worth it. Choosing light colours for your units is a sure-fire way to revive a dark kitchen. However, it can easily result in a bland and boring design, and therefore you should add a splash of colour to bring your scheme to life. One of the cheapest and quickest options on our list, you can even achieve this in an afternoon, removing and painting existing doors or replacing them with an updated style. In many kitchens, natural light is a premium. 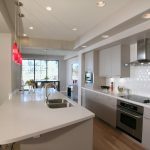 But not to worry, if it’s window space you lack, the right white will work wonders to brighten your kitchen. 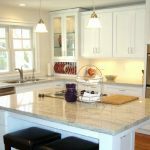 If you’ve already done this with your walls and cabinets, a low-sheen floor with subtle veining to hide dirt and scrapes may be your best bet. This is the biggest, horizontal light-reflecting surface in the room, and therefore you’ll want to make the most of it. If your kitchen is in a single-storey space, one of the best ways to introduce more light is to add in a skylight. This could be a standard flat window or, if you’re really looking for maximum light, an angled roof light. Either would flood the room with sunshine and bring a much greater sense of space. 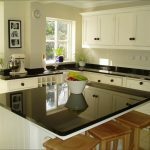 Your kitchen worktop is the highest horizontal surface in the room and also, therefore, an excellent reflector of light. You’ll get the most out of it by choosing a white or light coloured finish and can experiment with the hundreds of different styles and materials on offer. 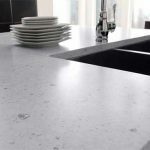 At AG&M we provide affordable and high-quality granite and quartz worktops throughout the UK. Visit our website to find out more or get in touch with our friendly team of experts today.